My husband and I are divorcing, and he says that unless I agree to split the property the way he wants, he’ll take me to court and the judge will order us to sell everything. Can he do that? First, we’re sorry that your husband has resorted to divorce threats instead of working with you to negotiate a mutually agreeable divorce settlement. Sure, he can take you to court, but it is unlikely that the judge would order the sale of an asset unless there is a good economic reason and the sale is in the best interest of both parties. For example, if you want to keep the house and there are sufficient other assets that could be awarded to your husband to make the settlement fair, it is unlikely the judge would order the house to be sold. If your husband is willing to launch one divorce threat, he might have others in store for you. Make sure that you are ready! Here is a list of divorce threats, courtesy of Margorie Engel and Diana Gould from their book Divorce Decisions Workbook. The threatener is used to being in charge and doesn’t want to give up his power. But coercion won’t work. Your martial property will be divided between the two of you regardless of whether your husband earned more than you. If you live in a community property state (Arizona, California, Louisiana, Texas, Washington, Idaho, Nevada, New Mexico, and Wisconsin), then you have equal claim to all martial property. If you live in a different state, a judge is empowered to make the final division decision. If your husband makes this threat, try to record it on your phone or get a witness. If you can show he quit his job to avoid paying alimony or child support obligations, a judge can order him to continue the payments. This is a threat made by someone who wants to keep you in their power. If you are going to reconcile, why do you need an agreement that is lopsided in favor of the party making such a demand? Think about what it would mean to your freedom and financial stability if your credit cards, bank account, car title, and home title were all in your spouse’s name? Do not let him take full financial control of your life! This is a bad deal no matter how badly you might want to reconcile. Threats are very common during divorce. If your spouse insists that he won’t pay or that you won’t get anything from him, speak with an experienced divorce attorney who can look at your situation and help you determine what is real and what is not. 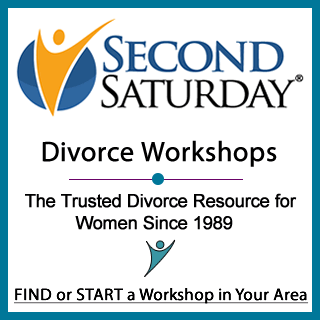 You may also want to attend the next Second Saturday Divorce Workshop in your area. Threats only have power if you are uninformed and unprepared! Finally, if your spouse ever threatens to physically harm you or your children, or if you ever feel unsafe, get out of the house immediately and contact your local law enforcement. My ex has told my son he can come live with him in sept. when he turns 14.we are not yet divorced and have no custody arrangement but he lives and goes to school with me.my ex hasnt paid any support in months and only contacts our son every few weeks when its convienent for him.my son thinks if he goes to live with his dad he won’t have any chores and will just be able to party all the time.it is not a good enviornment for him at his dads at all.he drinks all the time and is not stable.but is it true that when my son turns 14, he can go live there and I can’t do anything to stop it? It depends on what state you’re in. Every state has different laws. I’m in Ohio and it’s the age of 13 as far as I know. My husbands family owns the house we’ve lived in for the past 11 years of our 12 year marriage, He also gets 1200.00 a month from his dad out of his grand mothers estate. I don’t make nearly that much but i do carry us through the rest of the month, while he sits around at home all day and blames me for every problem we have. Financial or otherwise. Anyway I’ve finally had it and want out. My problem is I don’t make enough money to move out just yet. I do have a new job prospect coming up. This morning I told him it was going to take a little time to get in this new job and to find a place. so can we agree to be civil to one another. he said sure, but tonight because i refused to sleep in our room he told me i have 10 days to get out. when i told him i have at least 30 days by law. he said stay 11 days and see if i don’t cut your head off. he is on probation for domestic violence against me. Contact a domestic violence hotline ASAP. I have owned my house 3 years before i met my husband ithad a morgage on it the house is still just in my name .i was a single mum….we have been married 4 years can he claim of my house if we get a divorce.? Whether he has an interest in the home depends on the laws of your state. If you are in England, I don’t know whether the laws are countrywide or by area. My husband already said he is plannng on not making anymore payments on the house, just so I can be screwed. I only work part-time. Make maybe 800.00 a month. Our house payment is 781.00. What do I do? Even if I work more hours I won’t get by. Do I let him have the house? Let him ruin my credit because he isn’t making any payments? We are still currently 2 months behinfmd! If you want to take legal action, you’ll have to file for divorce or separation. Then you can request a court date to ask the judge to make him pay the payment. But the judge might order that the house be sold, if it doesn’t look as though your husband can afford the payment. I have been with my husband for 23 yrs. he has had numerous affairs… Abusive in every sense of the word… And I recently found out that he has a 21 yr old child in which he conceived during one of his cheating spree’s. We also have 2 children , one over 18 and one under 18. I’ve been talking divorce…which doesn’t seem to bother him, he’s more concerned about the money aspect. He says he would never pay alimony nor child support. He threatened that I had better not ever go after him for cash. I do fear him. I’ve never been a money hungry type of person. I am disabled due to an injury…and I’m on a limited income. I would rather not have to depend on him for alimony or child support…but how else am I supposed to survive after I gave him all my life and sacrifice …I don’t trust the legal system…it’s not so easy to just call the cops if he threatens about support…court ordered or not….he won’t do it. Let me emphasize …I do not trust the legal system as far as protecting me… Any suggestions? If your husband won’t protect you, then the legal system is all you’ve got. Consult an attorney to find out your rights under the law. You may be surprised. I divorced 23yrs ago. In 1992 in Mexico. My 3 children 5, 8 and 11 yrs old., I was a home stay mom, I asked for the divorced because of domestic violence ( I. Ever reported to the police ). We agreed to the divorce but he threaten me that if I asked for alimony or child support he would quite his job my Attorny told my husband he had to put an amount on the divorce papers. So he agreed for $300 a month ( 100 for ea child ) I thought it was ridiculous amount, very low considering how much it cost to support a child. But never the less I agreed. He only keep is his word for 3 or 6 months. After that he never gave me a dime I told him it was I. The contract. He said he did not care and that I should support them because I aasked for the divorce not him. His earning till this day are good he works for the same company til this day in USA. can I still go back for back child support.? I am unemployed and have a disability because of his domestic violence. My children and I went through a lot of hardship because he neglected the child support. Thank you so much for your help and I look forward in hearing your answer . Do you give personal consulting? I forgot to add. My disability is not recognize as a disability in the SS, because they say I do not need a voice to work I can do other jobs without my voice, my jobs were always at an office. My interviews do not go week because of the Lost of voice. Employers do not say this to me but I know that is the reason for them to turn me down. Thank soooo much! I forgot to add. the SS, say I do not need a voice to work I can do other jobs without my voice, my jobs were always at an office. My interviews do not go well because of my voice. Employers do not say this to me but I know that is the reason for them to turn me down. Thank soooo much! My ex-husband is demanding information on my insurance policies, which also cover our daughter. He says I was legally required to discuss any insurance with him before signing her up and that we are required to split the premium costs 50/50. I don’t want him to have access to any information about me or my family that isn’t required by law as any interaction with him is unpleasant to say the least. In our parenting plan insurance is only mentioned twice. 1) He is required to provide our daughter with health insurance, 2) we are required to split any “uninsured expenses” 50/50. I’m tired of being badgered by him and his threats when he doesn’t get to control my life and decisions any longer. Do I have to provide him with insurance information that covers our daughter like dental, supplemental cancer, life for which she is beneficiary etc. if I am the one who has applied for, received it and is paying for it? I’m not an attorney and I don’t know the legal requirements in your state. Consult with an attorney who can advise you about what you have to do. See an attorney right away to see what you are entitled to under the laws of your state. I am 73 and on my husband’s Operating a Engineers Health Insurance. He has been retired the 18 years we’ve been married. Will I lose my OE benefits if we divorce? You likely will not have health insurance under your spouse’s plan when you are no longer a spouse, if it covers a spouse but not an ex-spouse. You can look at the plan to be sure. Once you are of retirement age, you can receive social security divorced spouse retirement benefits if those exceed your own benefits. Check with social security to see if you are eligible for disability payments until then.